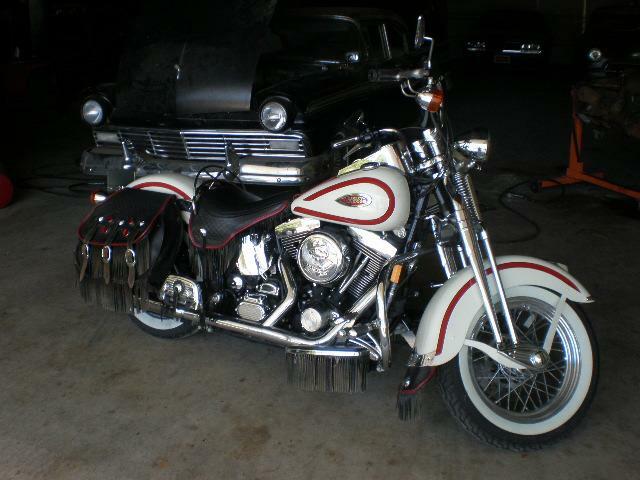 1997 Harley Davidson Heritage Springer in Red and White. The most beautiful motorcycle to ever come from the Harley factory. I sold this one to Jackie in 2003 ith 15k miles on the clock, She has enjoyed it for the last 8 years but now it is time for someone else to enjoy "Lucy". It now has 32k miles and a few nicks and chips but is freshly serviced and ready to ride anywhere. It has all of the red trim fringe items as well as a few accessory fringe items. Great bike at a great price, $10900.